Preheat oven to 180◦C (160◦C fan forced). Green Sauce: Blend ingredients in small food processor until well combined. 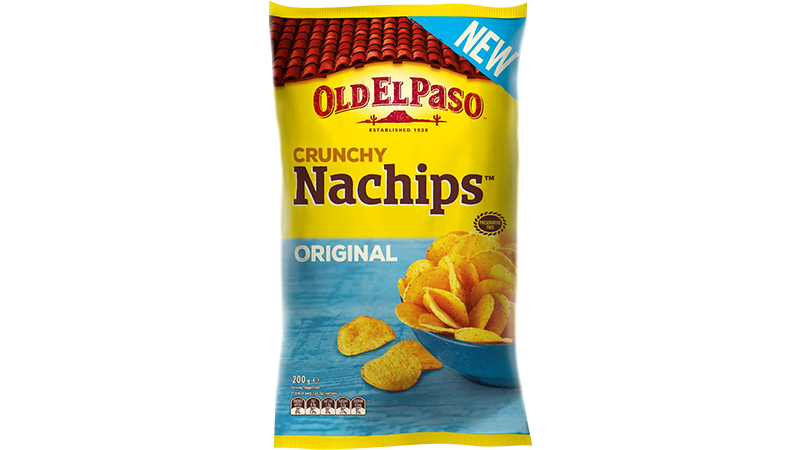 Place Nachips™ on an oven tray. Scatter over cheese. Bake 8-10 minutes, or until cheese is melted. 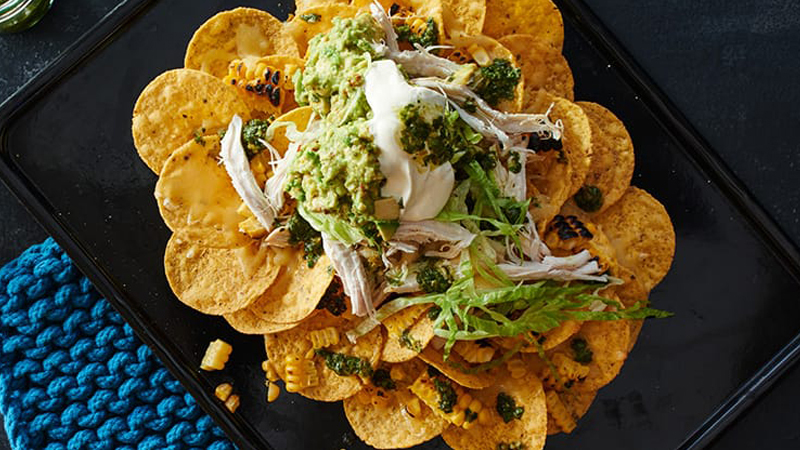 Top with chicken and corn, avocado, lettuce, sour cream and a drizzle of green sauce.